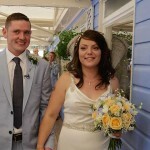 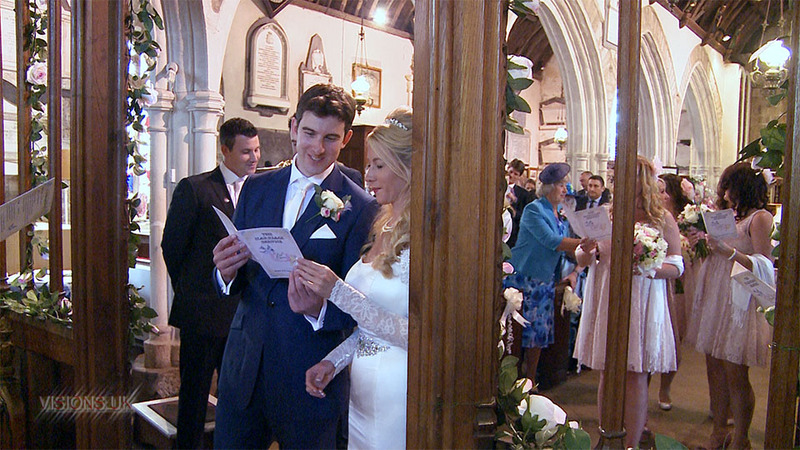 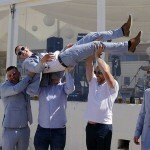 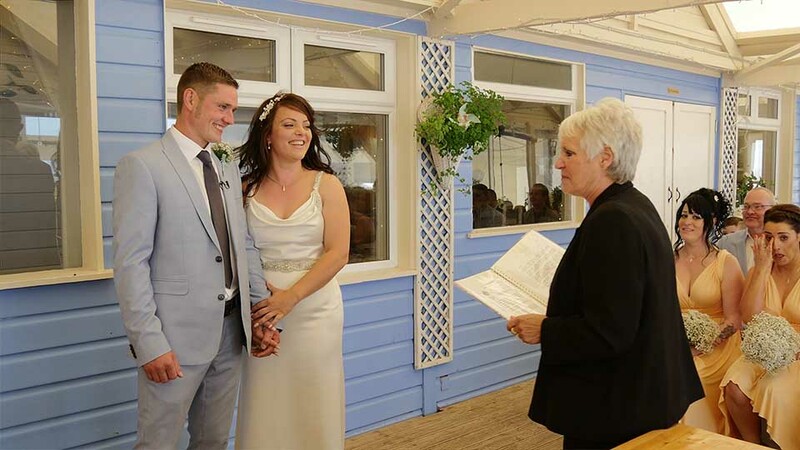 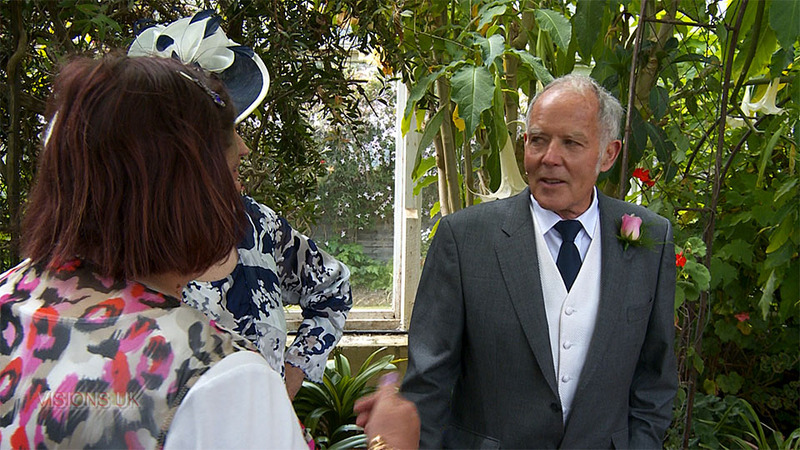 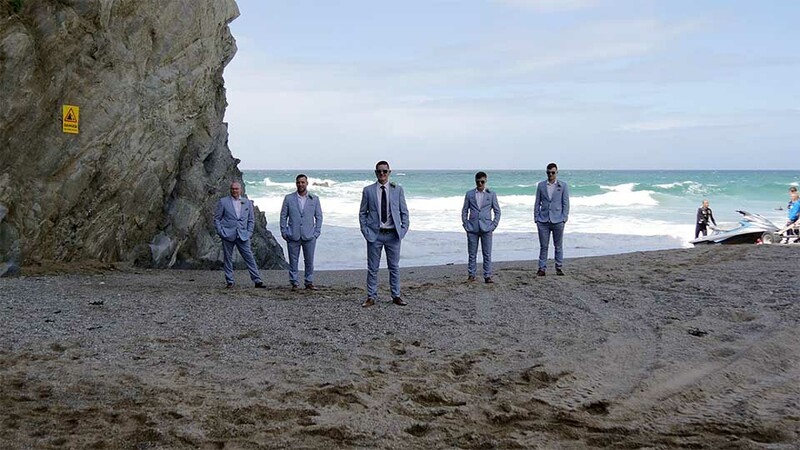 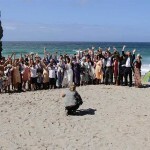 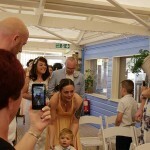 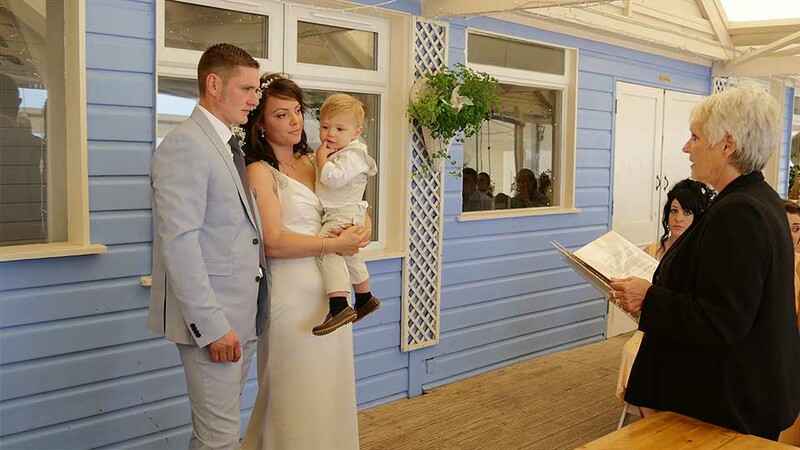 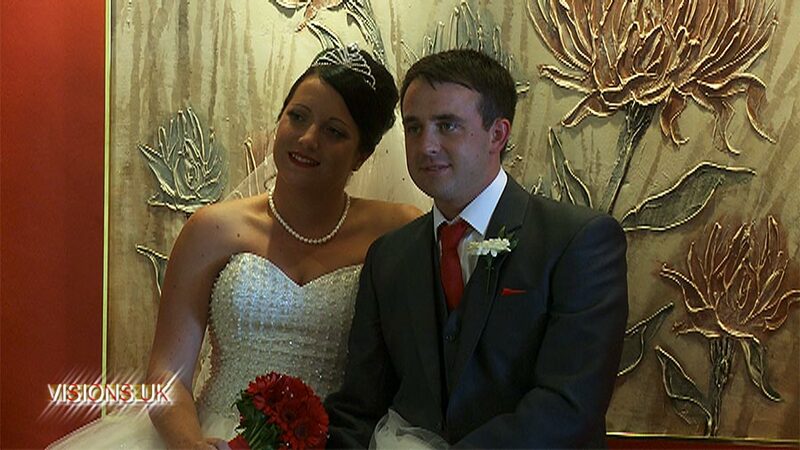 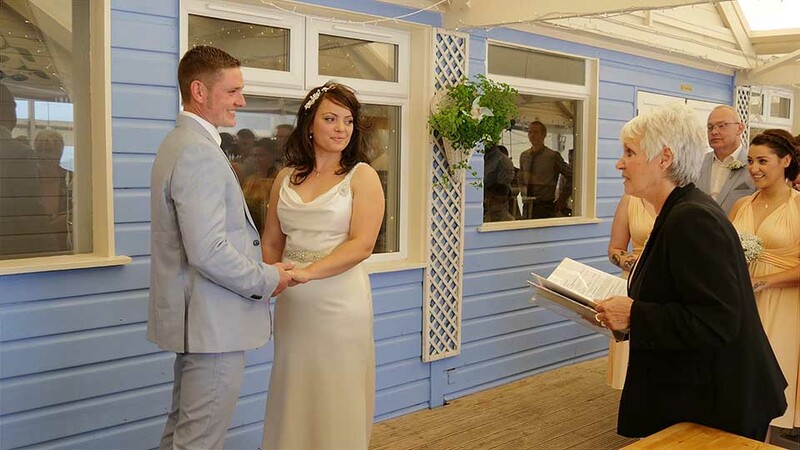 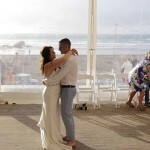 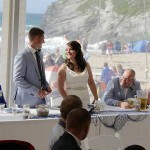 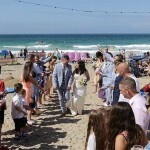 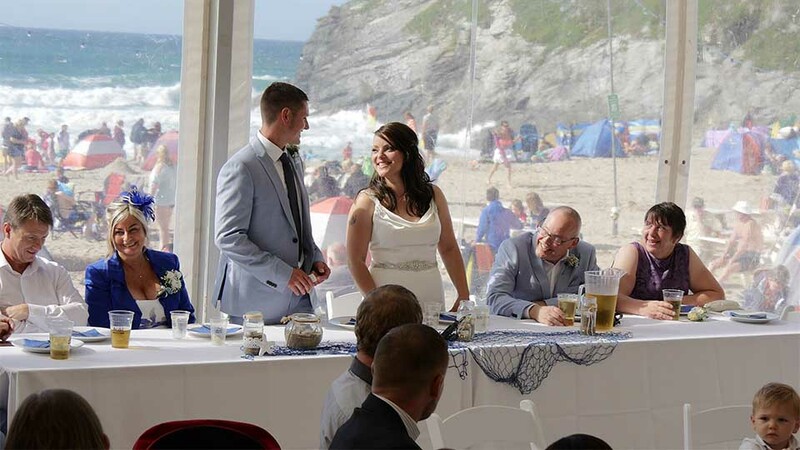 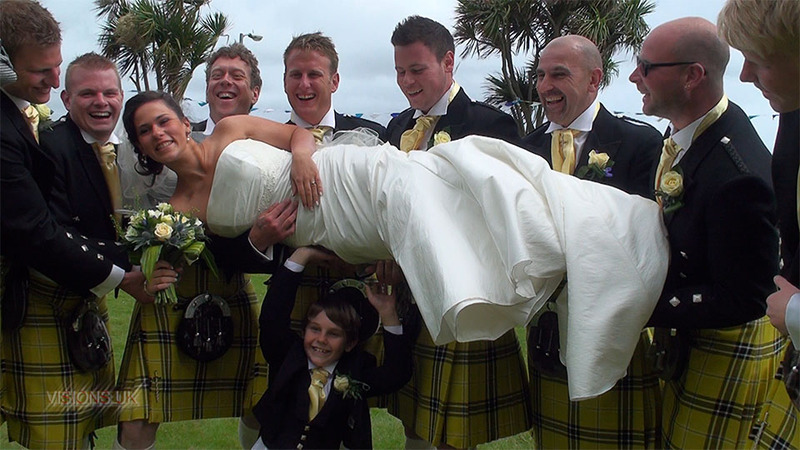 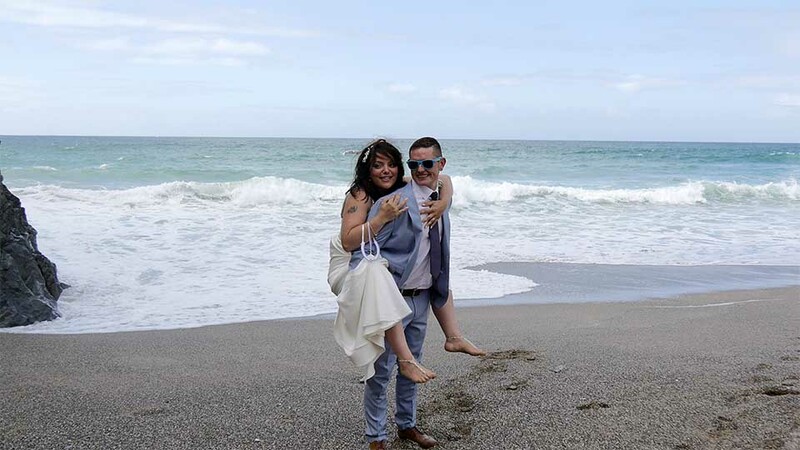 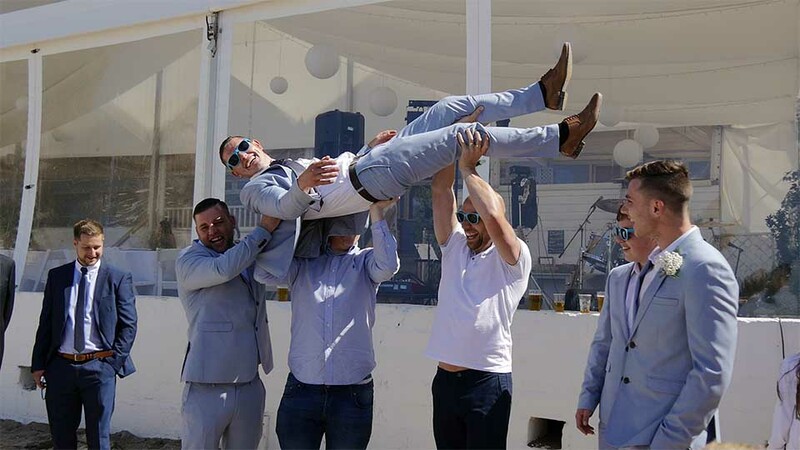 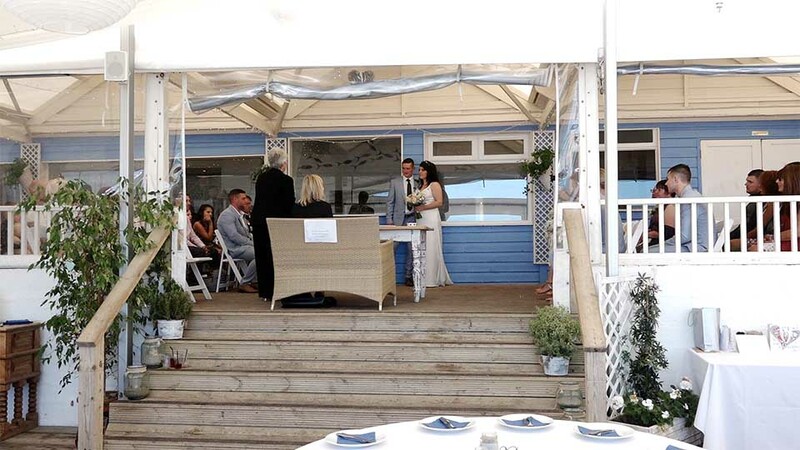 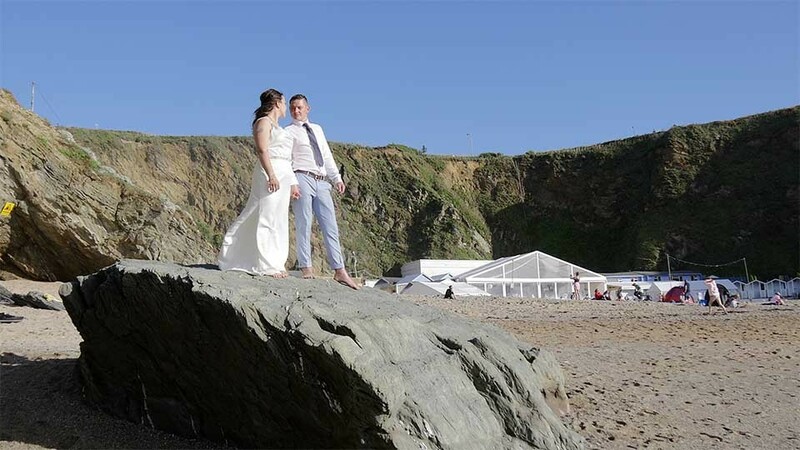 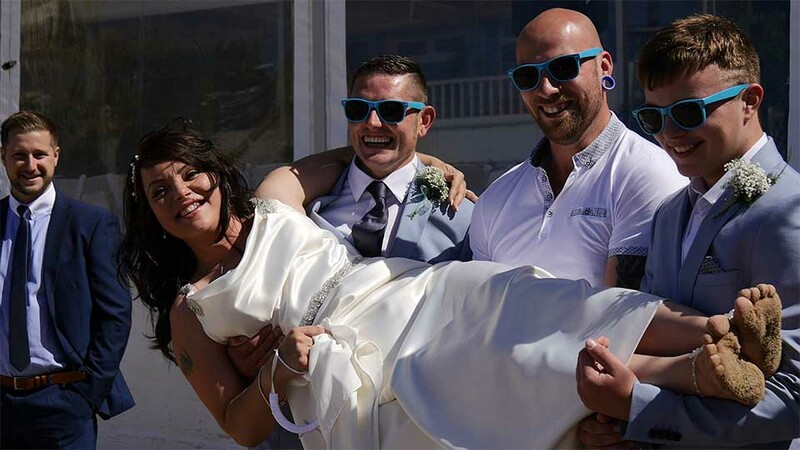 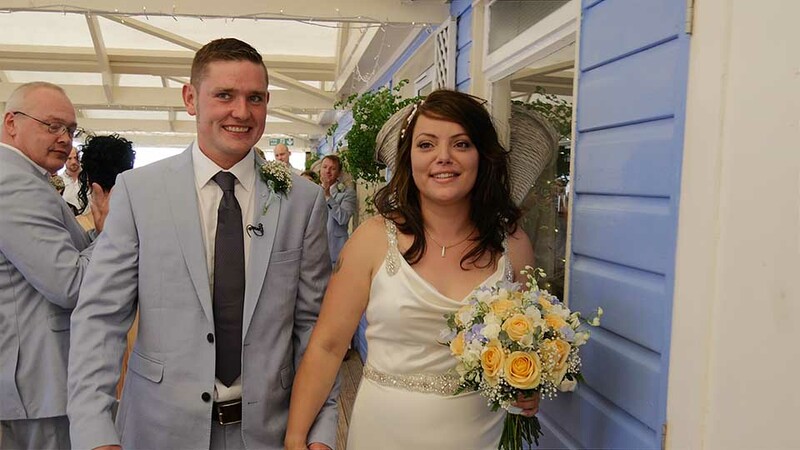 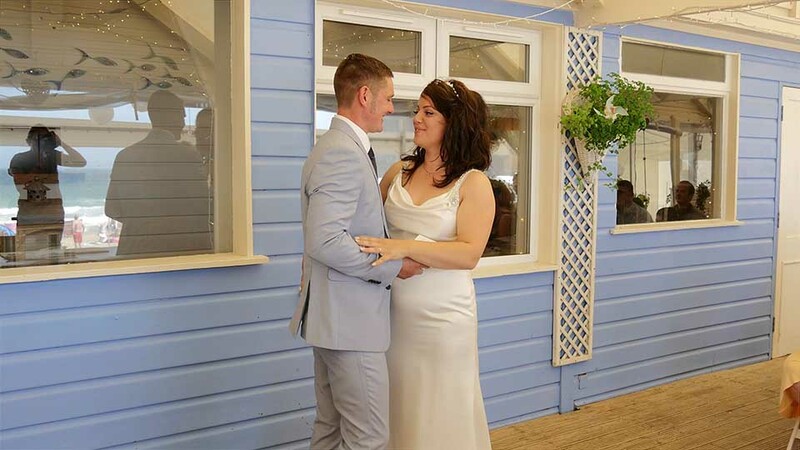 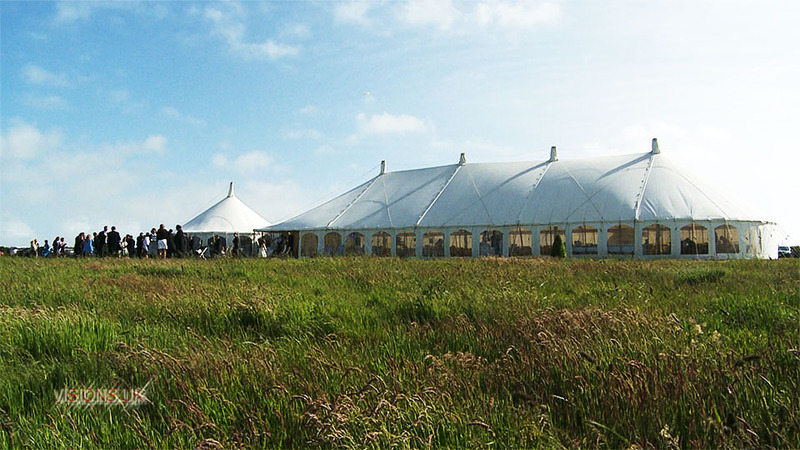 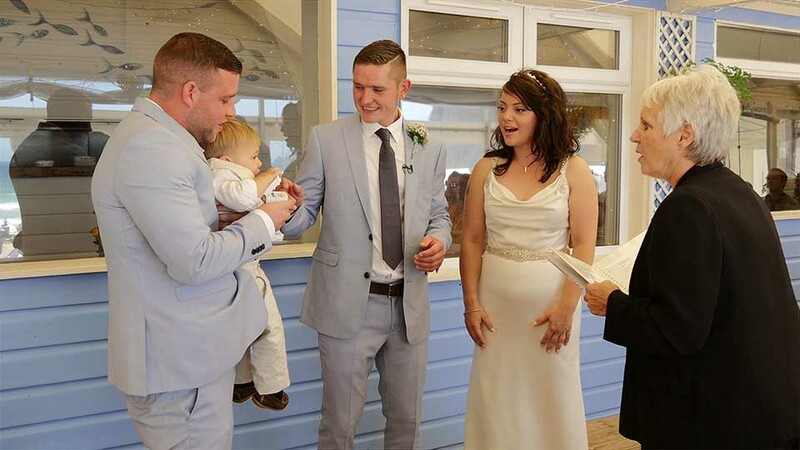 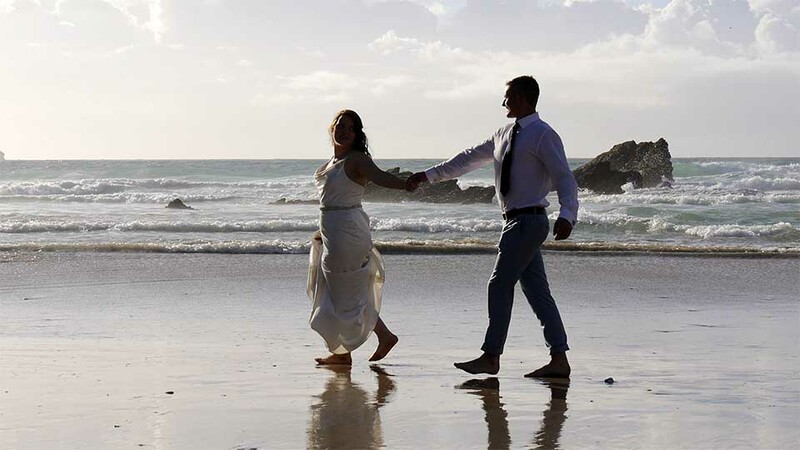 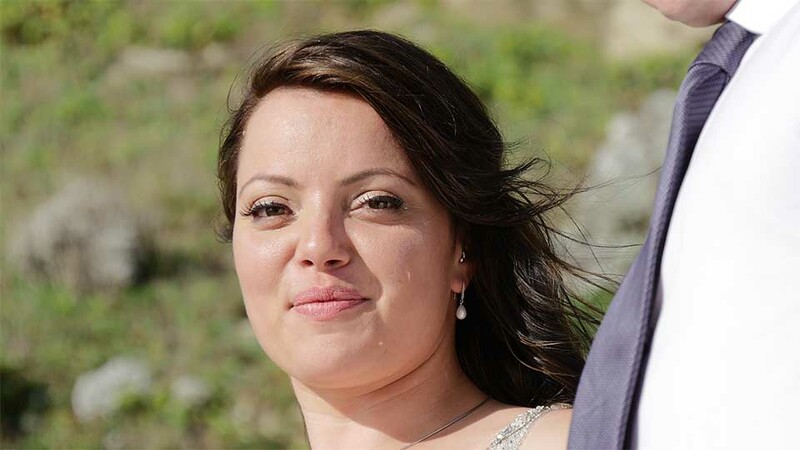 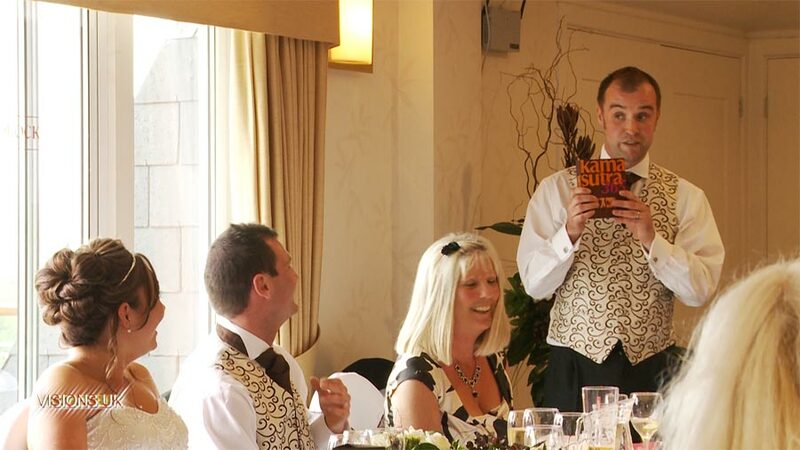 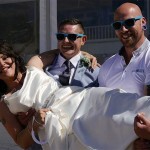 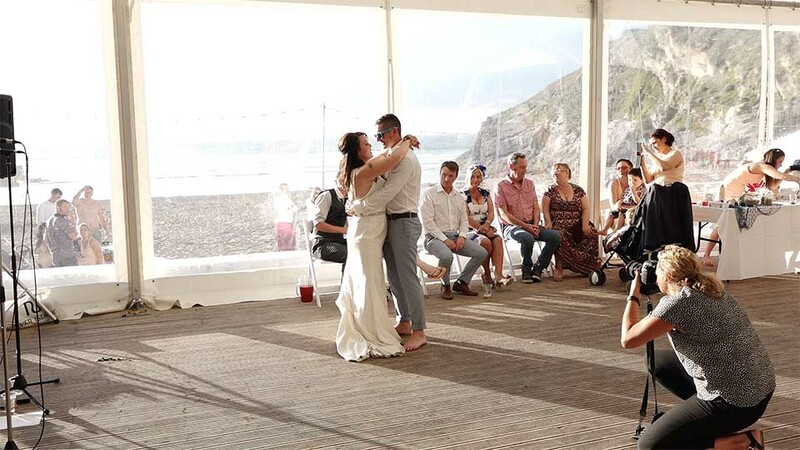 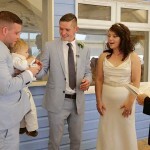 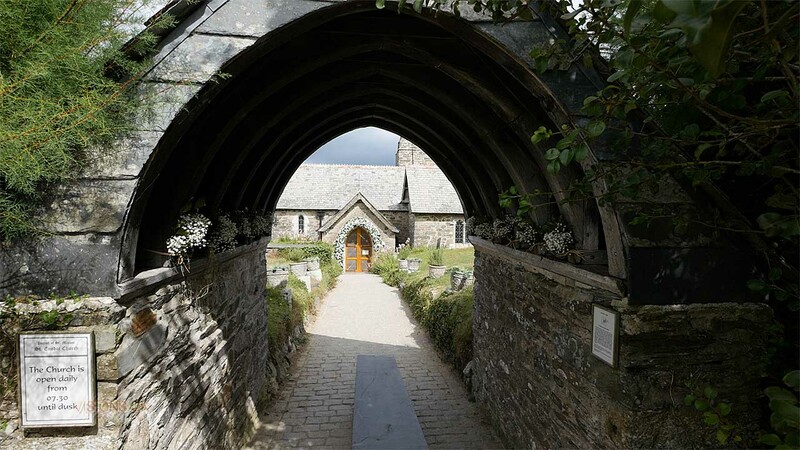 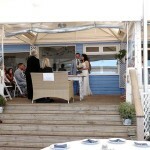 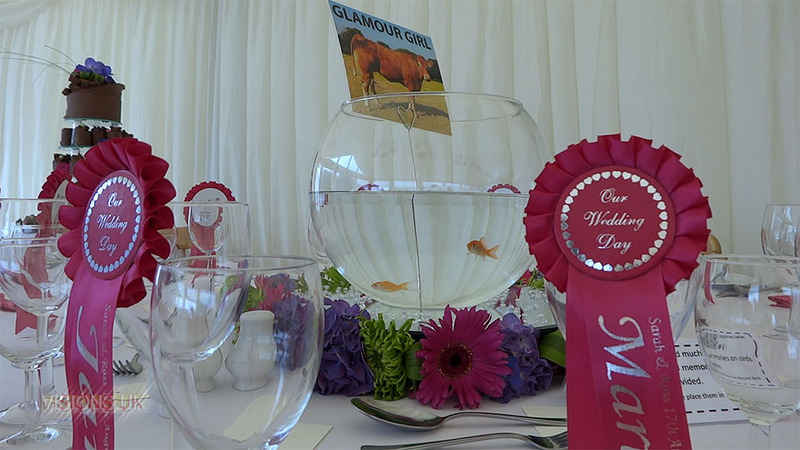 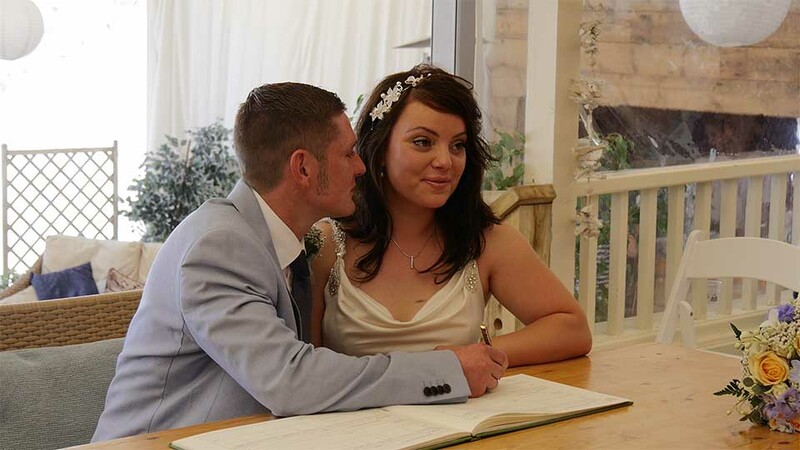 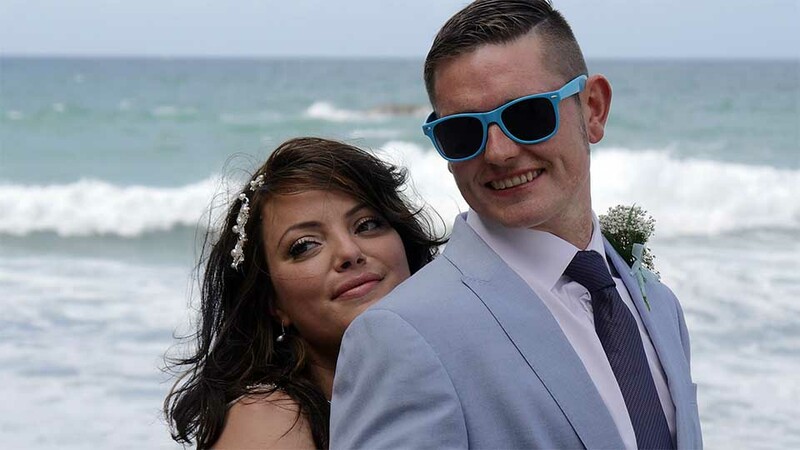 Wedding video in Cornwall-Zoe and Damian at Lusty Glaze. 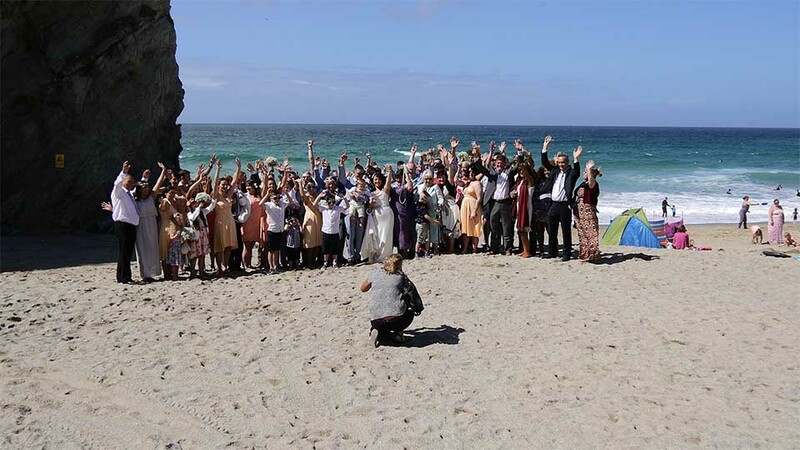 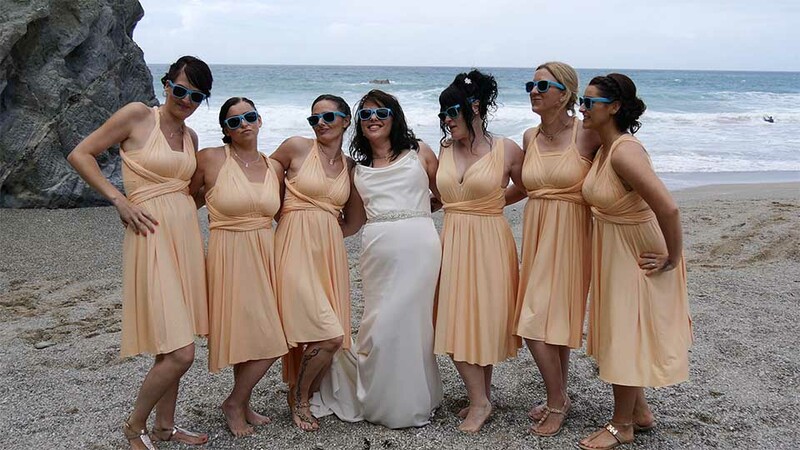 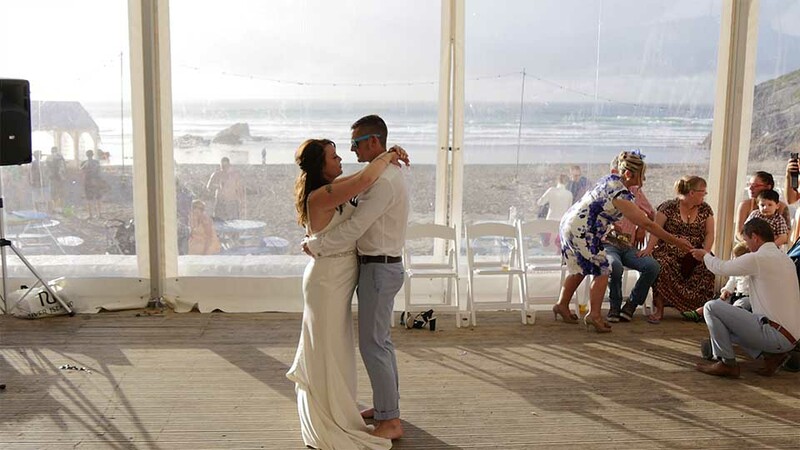 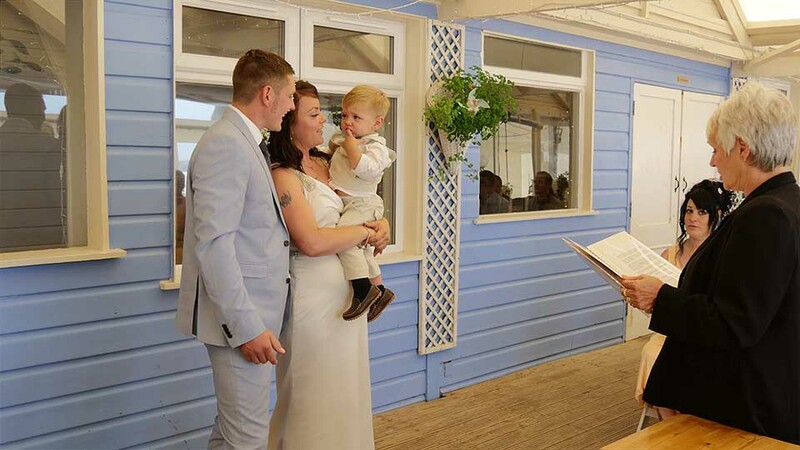 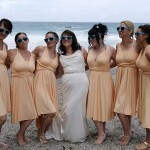 Getting married on a beach sounds like a dream and this one was no exception. 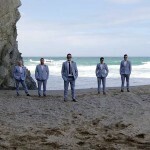 Lusty Glaze beach in Newquay is a private beach accessed down some steep steps. 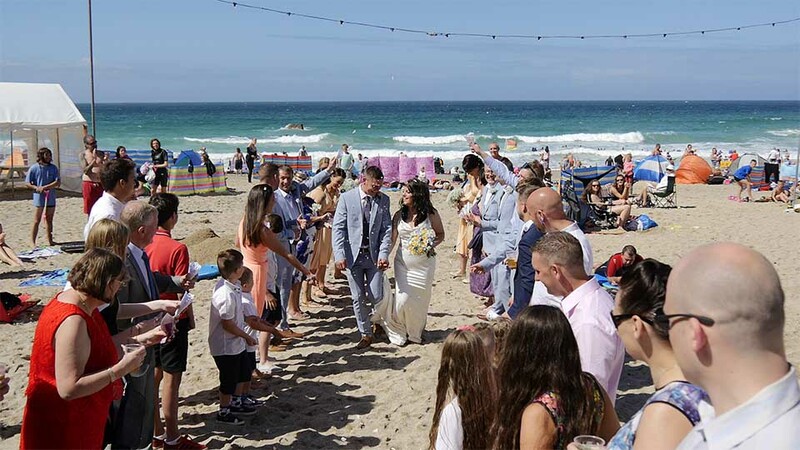 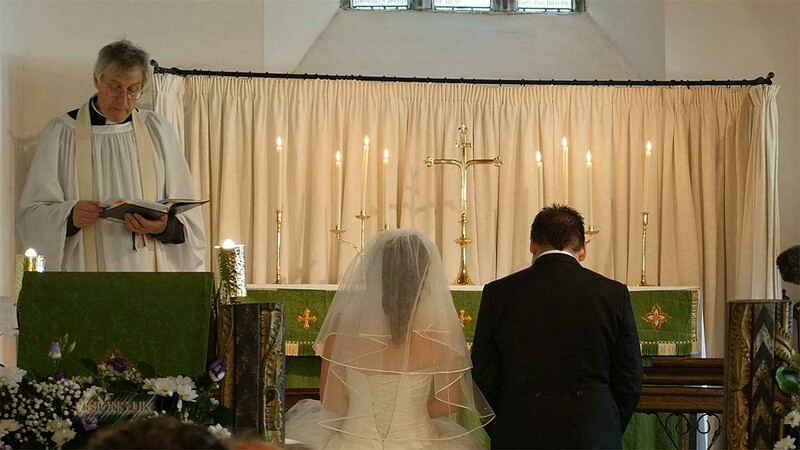 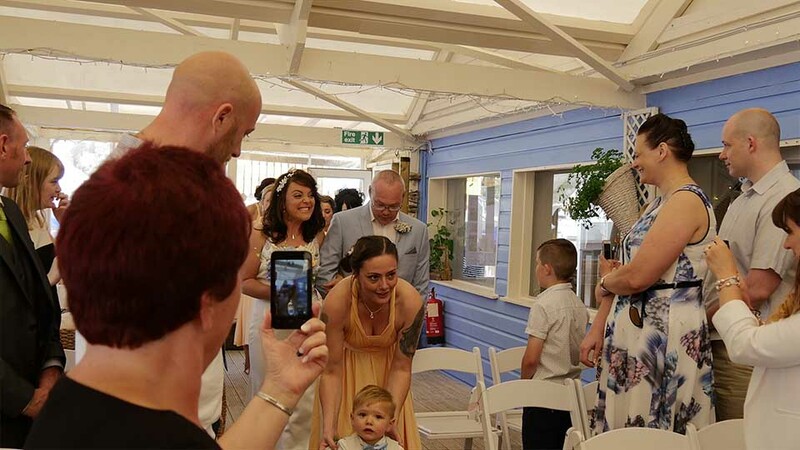 The weather before and after Zoe and Damian’s big day was awful but for them the sun shone as they celebrated with their friends and family who had all travelled down from Leeds.